If you've been on Instagram, it's likely you've seen someone wearing or talking about Lipsense. For the past year or so it seems it's been everywhere! Although I've heard the reviews, seen the photos, and had my ear talked off about it, I just wasn't sure it would live up to the hype. People were saying it would last an entire night out including drinking, eating, sweating, and even kissing. How was that even possible?! Y'all I don't know but some genius figured it out. And it WORKS. I've had lipsticks and glosses that last a long time, but by the end of a meal or a night out, it definitely starts fading or has disappeared altogether. I went in with a completely open mind, and honestly Lipsense blew me away. I had a girls night out the first time I wore one of the shades where we went out to dinner, had a couple of drinks, and did some dancing. I came home after a few hours and the color hadn't budged at all! The lipstick lasted the whole night. The only thing that doesn't stay on is the gloss that you put on top of the color. Lipsense is different than other lip products because the color is separate than the finish. You pick your color, apply your gloss or matte finish (A Good Makeup Day has a huge variety of gloss options including ones with shimmer!) and then when you're ready to take it off you apply the Oops Remover (otherwise it lasts for a LONG time!) Applying the lip color itself is also a little different than other products. 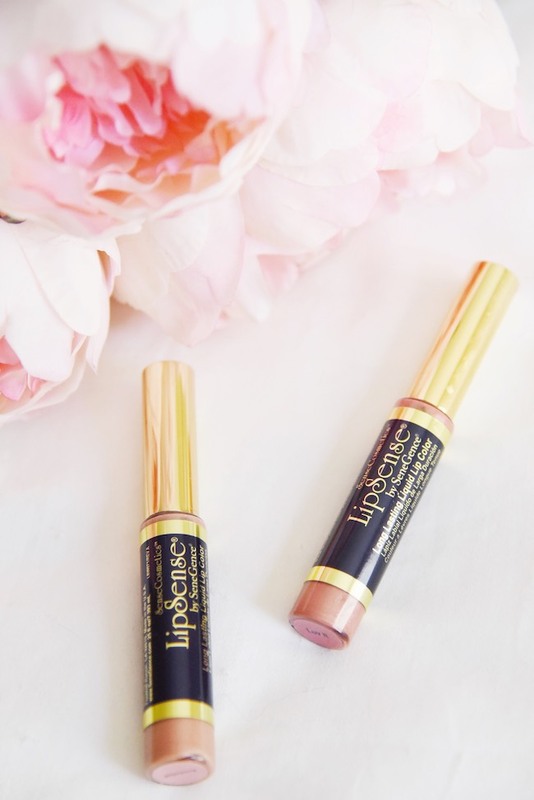 Lipsense essentially bonds to your lips when you apply it, so you have to do strokes in one direction and let each layer completely dry before applying another. The only negative I have about the lipstick is that it burns a little when you apply it for the first few times. I think it has something to do with the alcohol-based ingredient in the color, but it does disappear after a few uses! After wearing it out and about, I was curious about how long the color lasted if I didn't take it off. 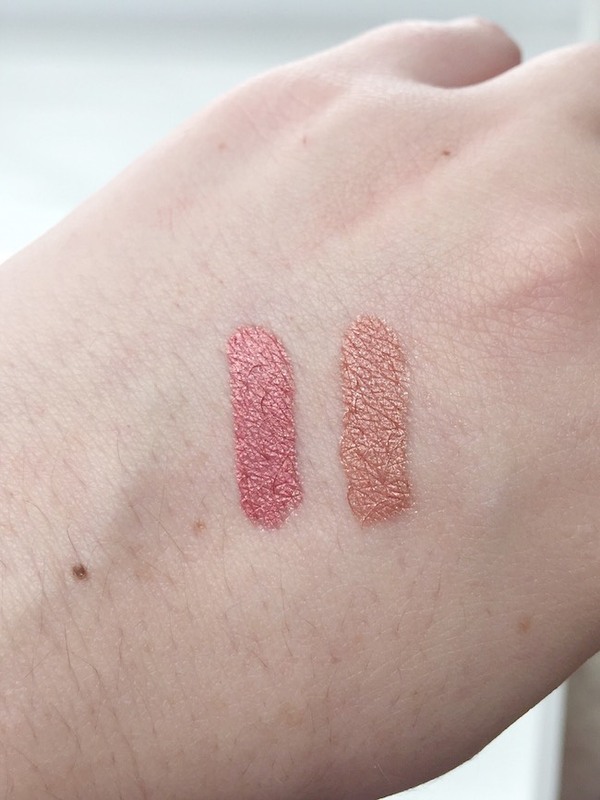 I decided to swatch the two colors on my hand (above photo: Luv it on the left, Bombshell on the right) and see how long they would last. GUYS. It lasted almost 5 days without even flaking. I showered 3 times, went to the gym twice, and washed my hands more than I can count. It only started to fade after the 3rd shower because I also started to pick it off. It's almost ridiculous how much this lipstick went through. At the end of the day, Lipsense is THE lipstick if you're looking for longterm wear that doesn't smudge. And you don't have to worry that there isn't going to be a shade for you, because the color options are seemingly endless! You can shop all the shades of Lipsense and get access to sales, promo codes, and contests by following along with A Good Makeup Day on Facebook! 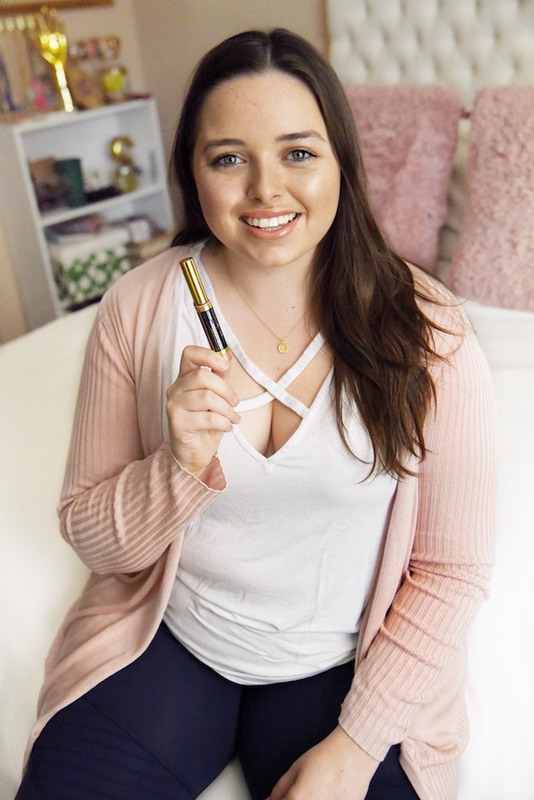 Have you ever tried Lipsense? I've never tried lipsense & honestly don't ever wear lipstick! But if I did, I would be interested because who doesn't want to not have to worry about their lipstick smudging or coming off? Lipstick that's long lasting is definitely something I look for when it comes to beauty. I'll have to think about trying Lipsense! I've never tried Lipsense before - I love the shades you have, though! Ahh the shades are so pretty! I'm hesitant to try lipsense though because of their ingredients! I heard they can actually cause chemical burns! I've never heard of this brand, but I love both of those colors. I like the shine too. Thank you for sharing. I keep trying Lipsense over and over again and it never seems to work right on my lips but goodness I'm jealous of people like you who can pull it off because it's AMAZING the stay power!! Like seriously that stuff is smudge-proof to the max and is perfect especially if you're in a relationship and wanna kiss your SO without getting red lip stains all over them hahah!! I really like the more bronze color. I sell Pampered Chef so I've definitely seen Lipsense at vendor fairs but I haven't had the chance to try it out yet. I’ve heard so many good things about this lipstick! It looks so pretty on you! i'm obsessed with lip sticks and i can't believe i haven't tried lip sense yet. i'm going to have to put it on my must try list. I've heard so many good things about Lipsense! So pretty! I love LipSense. It works really well and I wear it on those days that I am going to be out and about all day. I've heard so many great things about those lipsticks and those shades look beautiful! I have heard amazing things about Lipsense!! All the colors are so gorgeous and the staying power is so amazing! I've heard tons about these but haven't tried them yet. The preview you're giving looks fab! 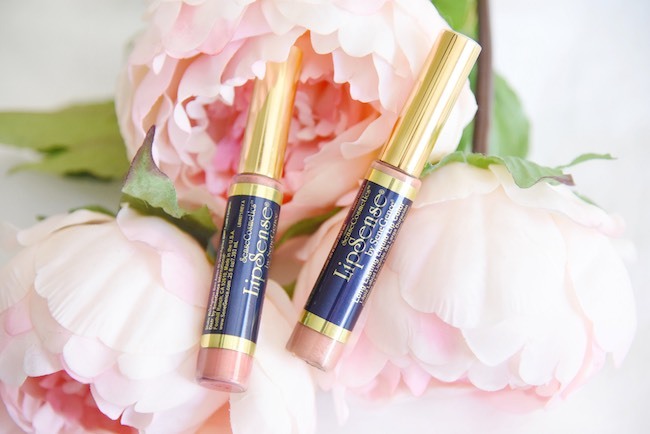 I’ve heard so many great reviews about Lipsense on all the Facebook wedding groups I’m in! Sounds worth a try! I love Lipsense! I have several colors! I've been hearing a lot about Lipsense but haven't gotten my hands on any yet. I have become so used to lipstick not lasting that its no longer a prerequisite of me buying them anymore. I do have some Wet n Wild ones that are soooooo good at staying put but once I can get my hands on these, I'd give them a try. Unfortunately, these did not work for me. They burned so bad, causing my lips to crack and bleed. Smudge proof? sign me up!! The colors look beautiful! wow that is a crazy amount of time and after multiple showers! Lipsense really does last forever! I absolutely love LipSense and I sell it too! This is such a perfect product and all I wear when I do all my shoots and go out, long lasting and so good! Sounds like a great brand of lipstick. I love the colors! I've heard so many good things by this! It seems like those who wear it, swear by it! Can't complain about long lasting!! I've heard so much about this! Your skin looks gorgeous btw! Beautiful colors! Looks great on you! I hear great things about them! Such a fun color! I've heard so many things about Lipsense. I must try it out! Thanks for sharing. I haven't tried lipsense but I have heard how long lasting it is, Now that I have read this review, its more reason for me to try! 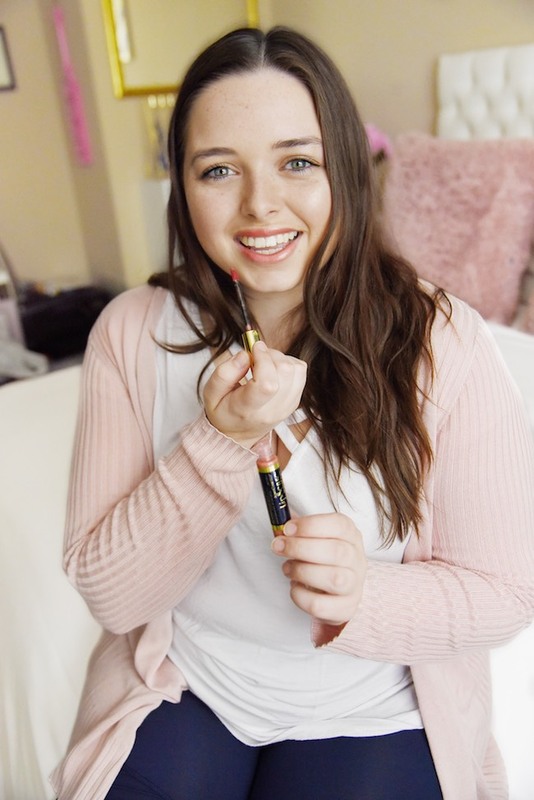 i actually just bought a lipsense starter kit of my own a few months ago and honestly don't like it much myself but i'm so glad it's working out for you! i think i'll stick with my regular lippies for now. for some reason i'm not a big fan of the texture of lipsense! it's crazy how long lipsense actually lasts! they also have really great and very pigmented colors which I love!